Prepare noodles according to package directions. Drain Cooked Pasta and place under cold running water until cooled. 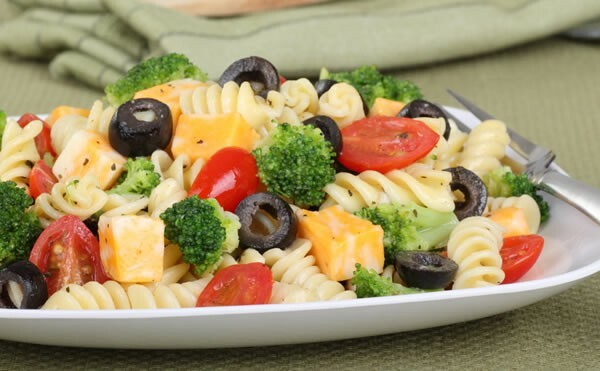 In a large bowl add pasta, vegetables and oregano. Mix in your choice of Jen's Gourmet Dressing as suggested above. Crumble Feta Cheese over the top. Add a small amount of ground Black Pepper to taste.